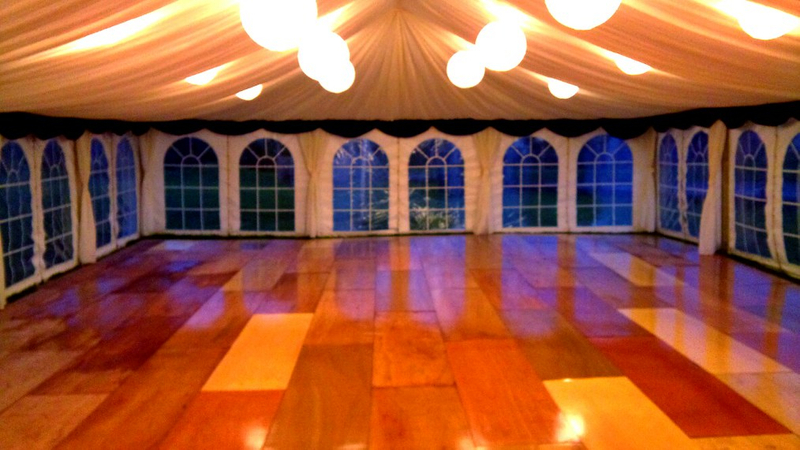 We offer several different types of flooring including the ever-popular coconut 'coir' matting which many other marquee companies have stopped doing. Some are more suited to certain types of terrain, others offer an array of colours to choose from so you can really complement your theme. All types of flooring are placed on a waterproof membrane which keeps moisture at bay. All used carpet is recycled once it is no longer fit for marquee use. Natural coconut matting gives a traditional, rustic feel that many customers love. It is particularly suited to locations such as fields because it is more forgiving than carpet which shows every lump and bump. Carpet is best on flatter ground such as lawns. We stock carpet in brown and dark grey but other colours are available from time to time. Stock carpet is used more than once but it's always clean and fit for purpose. You can choose from a selection of over 50 colours of carpet (look at the samples at the top of this page for a start)! So, if you'd like a non-stocked colour carpet that's brand new to give your event the edge, this is the option for you. Cream and white are very popular and stylish colours that can only be used once. Others include purple, red, black and white stripes.......we've even done turquoise! We can supply a complete wooden floor either with carpet stapled on top or without. This consists of interlocking plywood sheets on 18mm battens which allow rain water to pass underneath when laid on a hard surface such as tarmac. 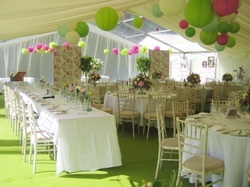 Without doubt the best flooring finish in a marquee is a wooden boarded floor with carpet on top.